When a bullet to the back took the life of one of his students, Jonathan Johnson was devastated and knew he had to do more, but he wasn’t quite sure how. He thought his work at KIPP Central City Academy charter school in New Orleans was helping pull his students from away from the dangers of the street. But Johnson said the financial struggles facing many of his students were severely hampering their lives, including their performance in the classroom. Now he is planning to open Rooted School, a new charter effort, to equip students with the skills they need to work in the technology field right after they graduate. He even may be able to offer them an income while in high school through internships with various local tech companies that work in search engine optimization, marketing, and software development. He hopes this will bridge the economic gap for some students, a chasm that lures some to illicit activity for quick money. “Rooted School is a high school that will prepare students for college and quality alternatives,” Johnson said to the Orleans Parish School Board last week, just before they granted him the necessary permission to open for the 2016-17 school year. Johnson will start with a ninth grade class in 2016, and add a grade each year, up to twelfth. Rooted will enroll 240 students when it’s fully built out. Johnson hopes to open in the business district where students can be close to industry partners such as Kickboard, a local education technology company. Before the school opens next year, Johnson will be trying out his curriculum – which is heavily focused on long-term projects and online learning – with a small group of students who attend an established charter school network, allowing him to make tweaks and improvements. The path to Rooted School has led him through soul-searching, hard work and a few big crossroads. In the spring of 2012, 16-year-old Ricky Summers was found with a single bullet wound to the back, half a mile from his school, on a Saturday morning when he was supposed to be at a tutoring session. Johnson says the teen was excited about college and talked about it often, despite coming into KIPP reading below his grade-level. A teenager was eventually arrested and booked with second-degree murder, but prosecutors refused the charge. The circumstances of his death and subsequent investigation aren’t clear, and the case remains open. Summers’ death jarred Johnson, but he kept teaching. Like many of the students he’s trying to reach, Johnson himself was a first-generation college graduate who earned his religious studies degree from Chapman University in 2010. After graduation, he joined Teach for America, asked to be sent to the New Orleans area and was placed at KIPP Central City Academy. 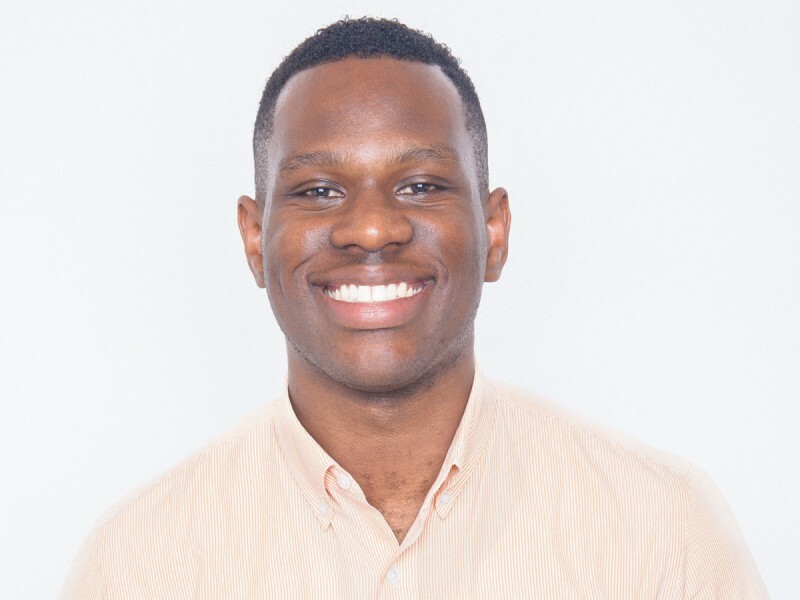 He says his first two years teaching “didn’t go so well.” But with a lot of hard work and mentorship, he was able to conquer the steep learning curve and he continued teaching at KIPP after his TFA commitment was up. Two years later, he was a finalist for the national 2014 Fishman Prize for Superlative Classroom Practice, which is awarded by The New Teacher Project, a national nonprofit organization. But Johnson said that moment in his career led him to a critical decision — something he’d been mulling since Summers was killed. “I didn’t believe that what I was doing everyday in the classroom was ultimately shifting students’ lives outcomes in the ways that I had envisioned,” he said. Johnson saw an opportunity in New Orleans’ growing technology sector alongside a well-documented lack of graduates prepared for entry-level tech jobs. So he approached education colleague Matt Candler, who told him he should apply to The Future of School Challenge run by 4.0 Schools, a local nonprofit Candler heads. The organization was founded on the idea of rethinking public education in New Orleans. It offers a program for educators interested in starting new schools or programs that has three phases and a heavy vetting process with both 4.0 and New Schools for New Orleans, another education-focused nonprofit that works to create charters. In August of 2014, Johnson was in the vetting process with NSNO when he says it became clear he would not be able to continue teaching while creating the school. He received a $150,000 grant from New Schools to work in the “incubation phase,” which is the months leading up to a charter approval and then preparing for opening the following year. Johnson set out to plan his school, one that would be based on technology and project-based learning, with the goal of giving students real-world experience before entering adulthood. During the fall of 2014, he spent time traveling across the country to schools that had features or programs he wants Rooted to have. Johnson also spent time speaking with former students and a group of students at a local high school set up to educate students expelled from other sites. And he has secured a novel pilot program with the Algiers Charter Schools Association. Most new organizations seeking charters spend the year preparing to open their school. Not only will Johnson be working on that, but at the same time, he’ll be testing his curriculum on a small group of students at one of the network’s schools. This fall, he will start the pilot with a group of 15 students enrolled in Algiers Technology Academy. That school will still receive the per-pupil state funding and have ultimate accountability for the students’ academic results, but for all intents and purposes, Rooted will be in charge. The juniors will spend the morning working on four core subjects through online classes. Johnson and another teacher he plans to hire will support students as needed. In the afternoon, students will work on projects co-designed by Rooted and different industry partners. Johnson has recruited seven companies so far. “These are partners that span search-engine optimization, market sampling, software development, of course, branding and marketing and video-game design,” he said. Johnson wants students to leave Rooted ready for the workplace. “How do we design our projects in a way that prepares our students to be entry-level employees with one of these companies?” he asked. Johnson said that is a task that will require lots of conversation with the various companies, such as Google, TurboSquid and Operation Spark, throughout the summer. He plans to sit down in July to plan out the courses and projects in detail. How can we end inequality if parents say kids shouldn’t go to college?